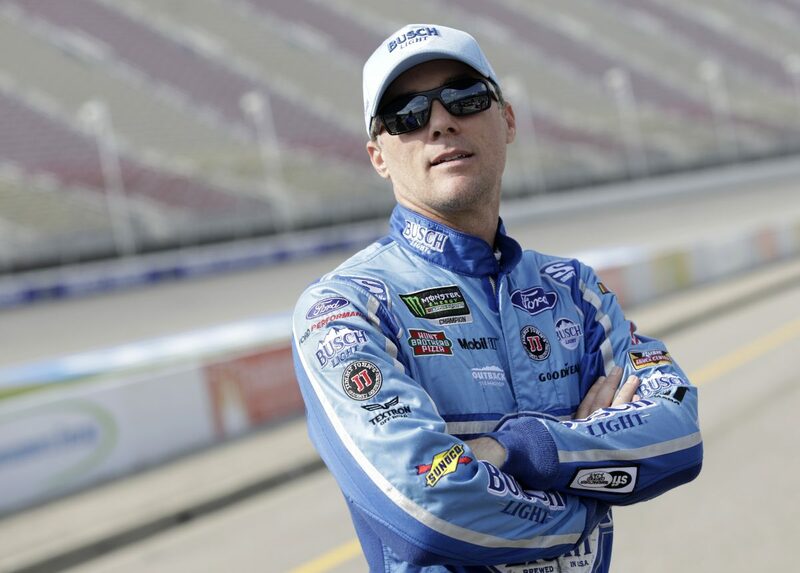 Kevin Harvick heads to Kansas Speedway in Kansas City for Sunday’s Hollywood Casino 400 Monster Energy NASCAR Cup Series race having earned a 63-point advantage over the ninth-place driver in the standings heading into the final race of the Round of 12. But, he still must earn at least a 26th-place finish to advance to the Round of 8. The driver of the No. 4 Busch Light Ford Fusion for Stewart-Haas Racing (SHR) has earned it all season long. The team leads the series with seven wins, 20 top-five finishes, 25 top-10s and 1,606 laps led. It also ranks second with a 9.3 average finish and is tied for third with an average starting position of 9.2 and three Busch Pole Awards. The No. 4 Busch Light team also has performed well at Kansas Speedway since the team formed in 2014. It has compiled a series-best two wins, six top-five finishes, seven top-10s, an average finish of 5.2, three Busch Pole Awards, and it ranks second with 454 laps led in nine starts at the 1.5-mile Kansas oval. Harvick has four Busch Pole Awards, three wins, eight top-five finishes and 14 top-10s with an average finish of 9.6 and 675 laps led in his 25 career Cup Series starts at Kansas. Two of his wins came from the pole position, including his most recent win in May 2018, when he won the Busch Pole with a lap of 28.600 seconds at 188.811 mph, led 79 laps and finished .390 of a second ahead of runner-up Martin Truex Jr. The 2014 NASCAR Cup Series champion has won at Kansas Speedway twice during the NASCAR Cup Series playoffs in the month of October. His first October win came in 2013, when he won the Busch Pole, led 138 laps and finished 1.140 seconds ahead of current SHR teammate Kurt Busch. His most recent playoff win at Kansas came in a must-win situation in 2016, when he started 11th, led 74 laps and finished 1.183 seconds ahead of Carl Edwards. Since the start of 2018, Harvick and the No. 4 team have compiled an impressive resume on 1.5-mile tracks. They lead the series in laps led with 614, are tied for the series lead with three wins, rank second with six top-five finishes, and have six top-10 finishes. However, in their two finishes outside the top-10 during that span, they finished 40th at Charlotte (N.C.) Motor Speedway in the Coca-Cola 600 and 39th at Las Vegas Motor Speedway in the South Point Casino 400 – both the result of cut tires that ended their day early. The No. 4 team enters Kansas ranked first in points with 3,128 – 63 ahead of the ninth-place driver and 45 points ahead of the eighth-place driver. If anyone but Brad Keselowski, Ryan Blaney, Kyle Larson or Alex Bowman wins, the No. 4 team is automatically locked in. For Harvick and the No. 4 team, the focus this weekend is on starting up front, leading laps, winning stages and winning the race – but the big-picture goal remains advancing to the next round of the Cup Series playoffs and winning a second championship. The quickest way to reach that goal is to win this weekend at Kansas. Take us on a lap around Kansas.